You may have encountered words that are pronounced and spelled in the same way but the catch is that they actually have different pronunciations and meanings. 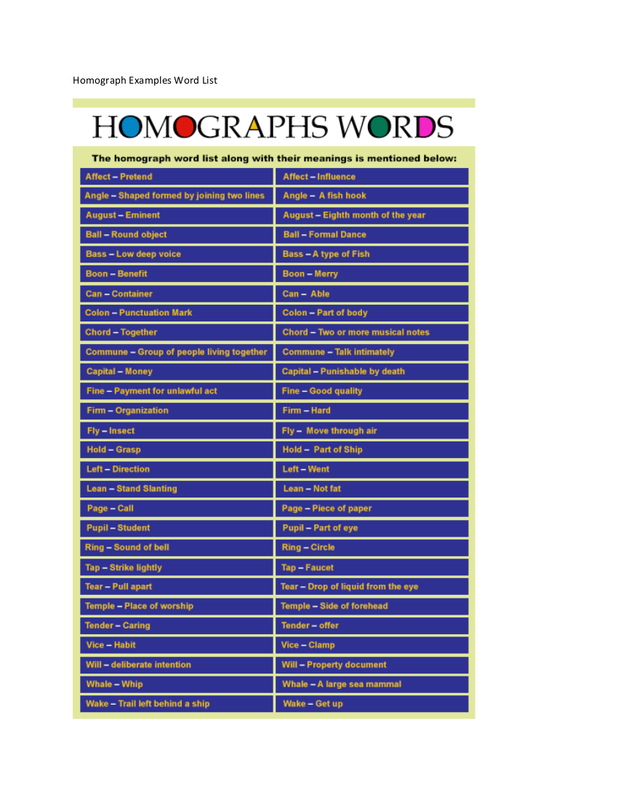 These words are called homographs. 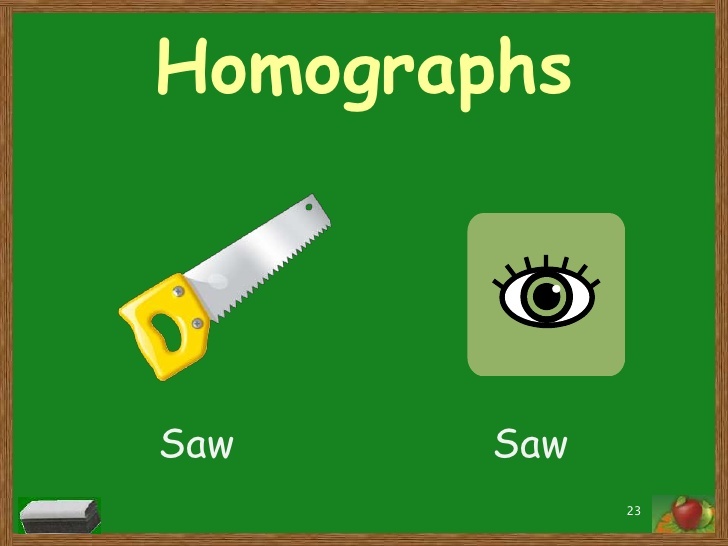 Learn more about homographs for kids with the help of the homograph for kids examples that we have included in this article. 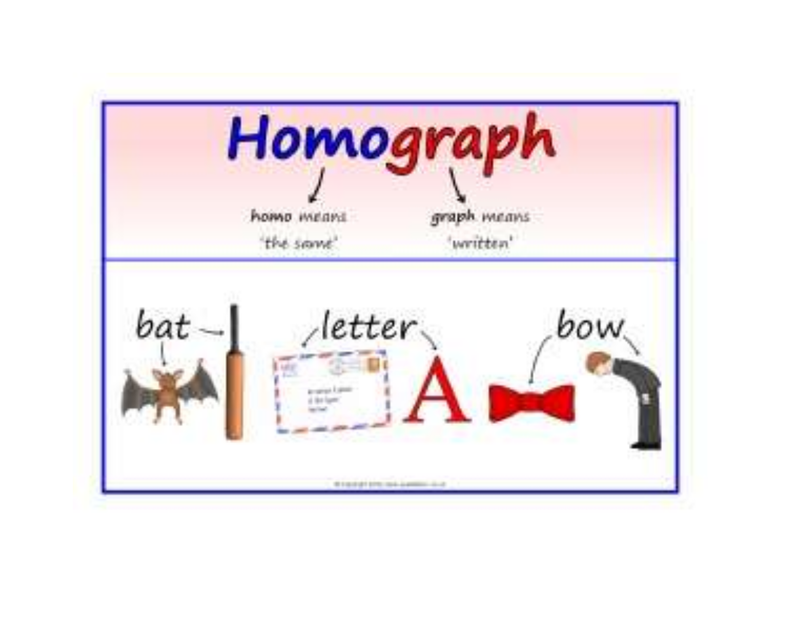 Also learn more about the differences of homonyms, homophones, and homographs in this article. 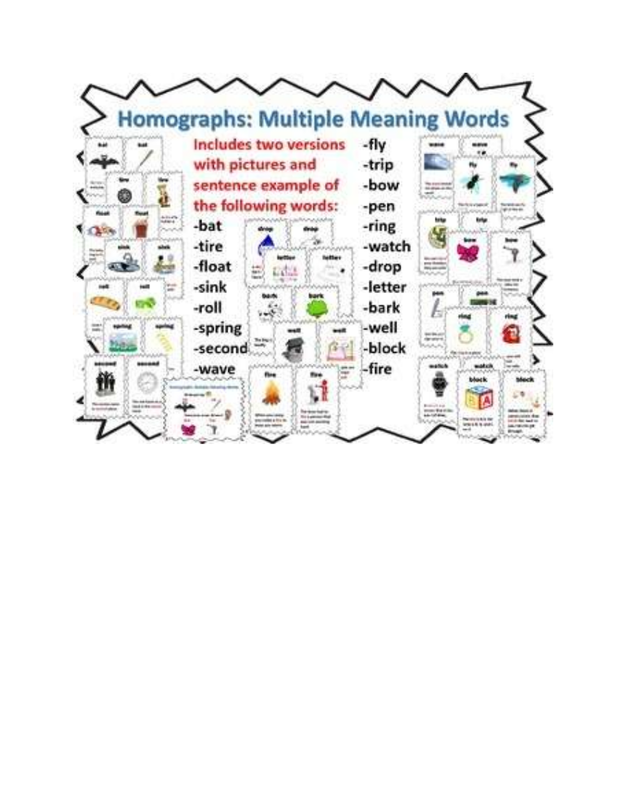 Homonyms are those words that have the same sounds but have different meanings. The term homo means “same” while the term nym means “name,“ thus, it literally means having the same name. It is important to take note not to misuse homonyms because the meaning of what you intend to say can drastically change or misunderstand most especially if you would get confused with its various definitions. Left – to leave: She left before you arrived. Left – related to the side of the human body: Her left hand was aching badly after the accident. Pitcher – the player in baseball who throws the ball from the pitcher’s mound: The pitcher of the other team was too good to beat. Pitcher – a large jug: The mother brought a large pitcher of juice for a small picnic. Crane – a bird: I like folding paper cranes and use them as a room decoration. Crane – a machine used at construction sites: The construction workers were on a crane. Play – the performance in a theater: I have always wanted to star in famous plays like Wicked and The Phantom of the Opera. Play – to play (verb): Let us play now! Park – the act of moving a vehicle to a place, usually a car park: My brother parks the car so terrible he bumped into a car that caused a domino effect on the other cars parked beside it. Park – a public area that is close to nature: I like hanging out in the park in the afternoon because the temperature during that time is not too warm and not too cold. Have you ever been confused with the words there, their, and they’re? Do not worry because these words are the most misused and most confusing words in the English language. You can see a lot of establishments such as restaurants that would get confused by this, across the realm of social media sites, down to bumper stickers. You might wonder what these words are and the answer? These words are homophones. 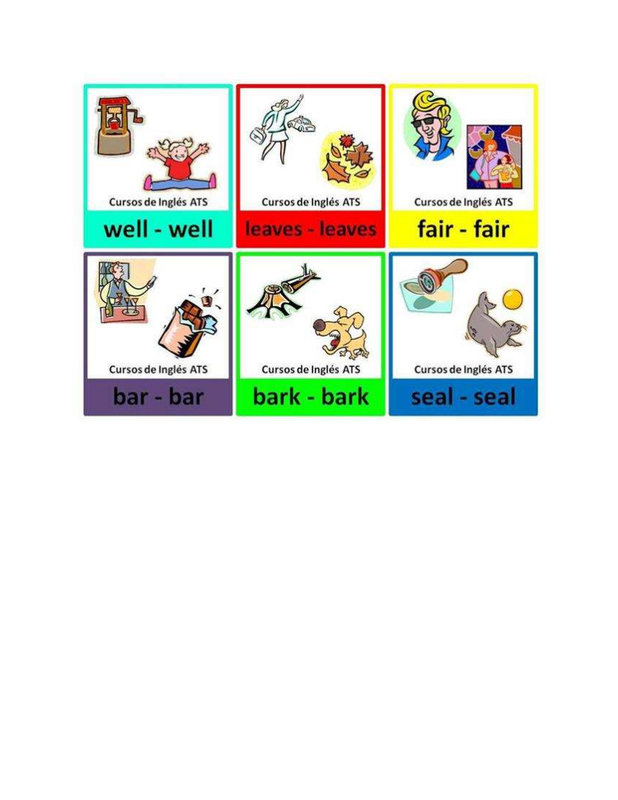 Homophones are those words that have the same pronunciation but have a difference in meaning. 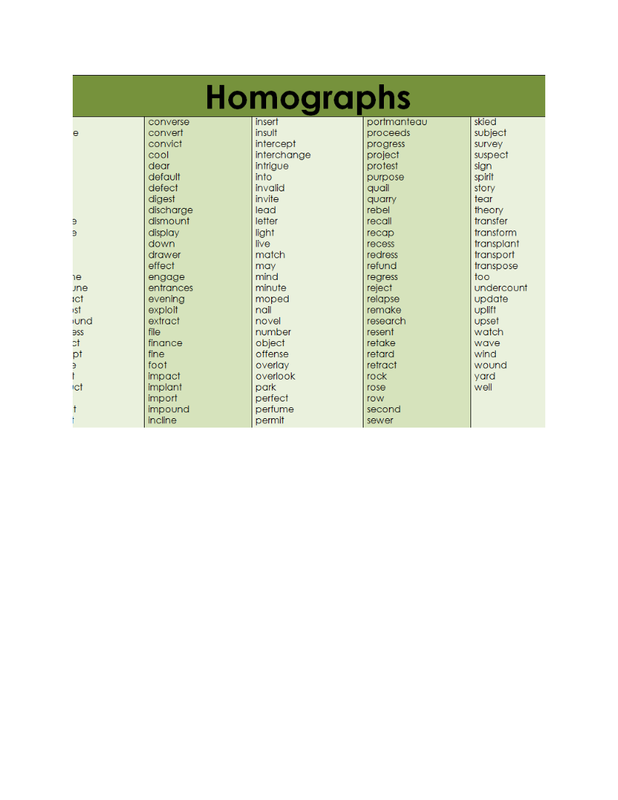 They are different from homonyms because they are not spelled the same. air – an invisible gaseous substance: There was limited air in that room. heir – a person who is legally entitled to a property or possessions, or rank: I am the sole heir of my family’s large corporation. aisle – a passage between rows of seats: The bride walked graciously across the aisle. isle – a small island: The man barely survived living in the isle for two months. be – used in tenses of a verb: She wanted to be beautiful. bee – an insect: I got stung by a large bee. brake – a device that is used in slowing or stopping a moving vehicle: I barely hit the brake and nearly got us crashed into that big tree. break – to separate a whole piece into separate pieces: My baby brother likes to break his crayons. bear – an animal: I have seen a big bear in the wild. bare – not clothed or covered: My mother likes to have the table bare instead of putting on some fancy table sheets. 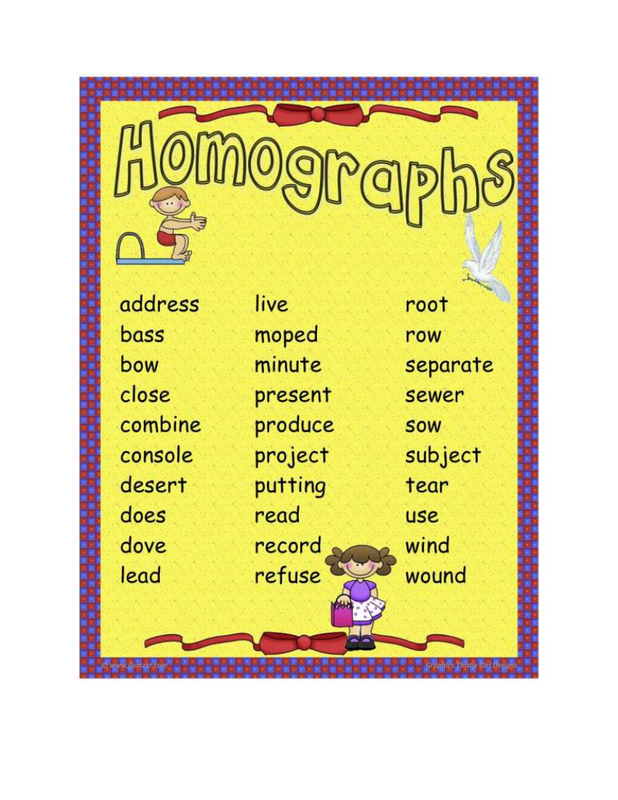 Homographs are those words with the same spelling but have different meaning and most especially, different pronunciation. These words could not get easily confused especially when spoken but can be when it is written. You have to take note of the pronunciation differences between the words that look and sound the same because it could affect the main point of your message. bass – a type of fish: I recently caught a large bass. bass – low, deep voice: I like a singing bass voice; it’s low but it could get soothing to the ear at some point. bow – a type of knot: My sister likes wearing a bright red bow around her head. bow – to incline: Korean and Japanese people bow down as a sign of respect. entrance – the way in: The entrance of the concert venue was tightly secured both in locks and the presence of the security guards. entrance – to delight: I always feel entranced every time he would walk into the room looking like a model that came straight out from a magazine. number – to get more numb: I like it when my hands would get number because it feels like a different hand altogether. number – as in a numerical value: My favorite number is 10 because I was born on the 10th of October in the year 2010 and I am also the tenth child of my family. mope – to cry: The kid next door likes to mope loudly a lot it gets disturbing especially at night when we would want to sleep in peace. moped – a motorcycle: I have always wanted to have a moped because you can easily use it for traveling alone.